Lemon and Ginger chai - The spicy taste of ginger warms the heart and lifts the spirit. Its High in Vitamin C . Zesting and boiling lemons gets the most powerful vitamins in the fruit. Ginger is anti bacterial, anti oxidant, and anti inflamitory; along with the clove. It also helps to provide relief from upset stomach, migranes, and sore muscles. Lemon and Ginger chai will keep you and your loved ones feeling warm this monsoon. Samosas are fried on a daily basis. Samosa are fried or baked dish with a savoury filling such as spiced potatoes,lentils, onions, peas, macaroni, noodles or minced meat that can be lamb, beef or chicken if you making the dish at home Many of us like Samosas which is a favorite. Where ever you go, you will be able to get samosas in India. 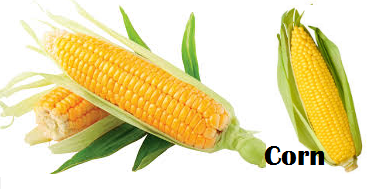 they are also a popular street food in India. Khichdi is a simple and comforting food prepared with dal that is lentils and rice. It is very easy to prepare, filling, nutritious, and easy to digest. Dal khichdi can be prepared with a single dal or a combination of 2 or more dals (lentils). If you want to try khichdi Bengali style you can enjoy it by adding fish cutlets or fried/grilled hilsa. 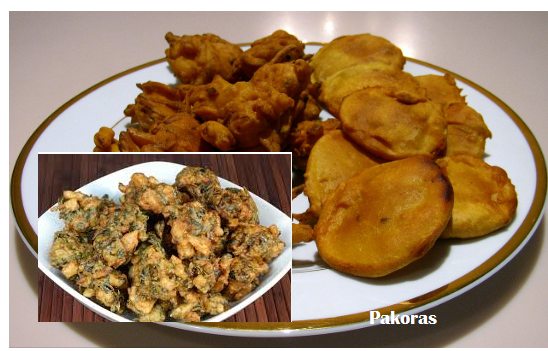 Pakora also called pakoda, pakodi, or ponako, it is a fried snack. Originally from India and it is found across South Asia especially in India, Bangladesh and Pakistan. Pakoras are prepared by taking one or two ingredients such as onion, eggplant, potato, spinach, plantain, paneer, cauliflower, tomato or chili pepper. They are also occasionally prepared with bread, buckwheat, groundnut, fish, or chicken. They are dipped in a batter made from gram flour and then deep-fried. The most popular varieties include pyaaz pakora which is made from onion, and aloo pakora, made from potato. Other variations include paalak pakora which is made from spinach and paneer pakora which is made from paneer that is soft cottage cheese. When onions on their own are prepared in the same way known as onion bajji. A variation of pakora made from wheat flour, salt, and tiny bits of potato or onion as an optional is called noon bariya typically found in eastern Uttar Pradesh in India. If you are a pure non-vegetarian you can make chicken pakoras as they taste very good. Soup is a primarily liquid food, generally served warm . 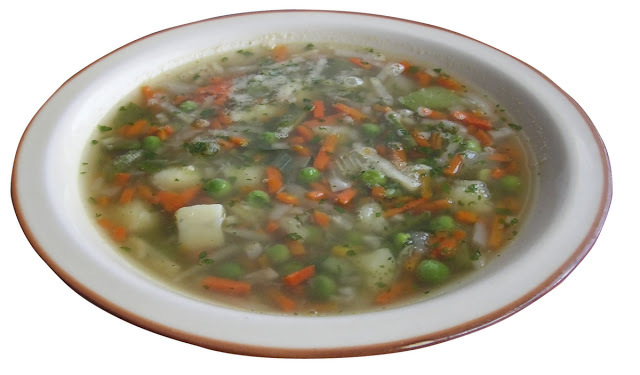 Traditionally Soups are classified into two main groups that is clear soups and thick soups. Soup is also the healthiest. But its not the only reason you should enjoy this. It makes a perfect replacement for salads and makes for a wonderfully light meal. Everyone loves chips and dips. Chips include potato chips, tortilla chips, corn chips, bean chips, vegetable chips, pita chips, plantain chips and many others. Definitely the best thing to go with while curling up on the sofa and enjoying an interesting movie. It is a safe to prepare your favourite monsoon snacks at home rather than buying them from outside.